We all know the internet is EXCELLENT for goofing off (heck, I'm supposed to be working right now), but I also love how it teaches me about other fan communities out there. I am a puddle of goo on the floor. A PUDDLE. 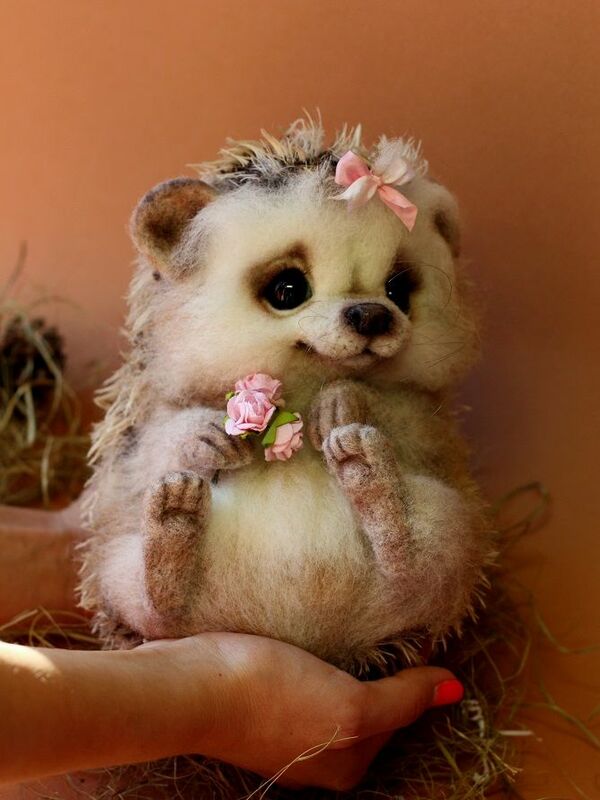 I've seen some adorable art dolls before, but this week I stumbled across a veritable treasure trove in the form of several Russian teddy bear websites. Hit that link for more of Julia's work - and while you're at it, marvel with me over the wonders of the internet and Google Translate that lets us appreciate stuff like this from across the globe. Living in the future is kinda cool. Did I mention most of these are palm-sized? 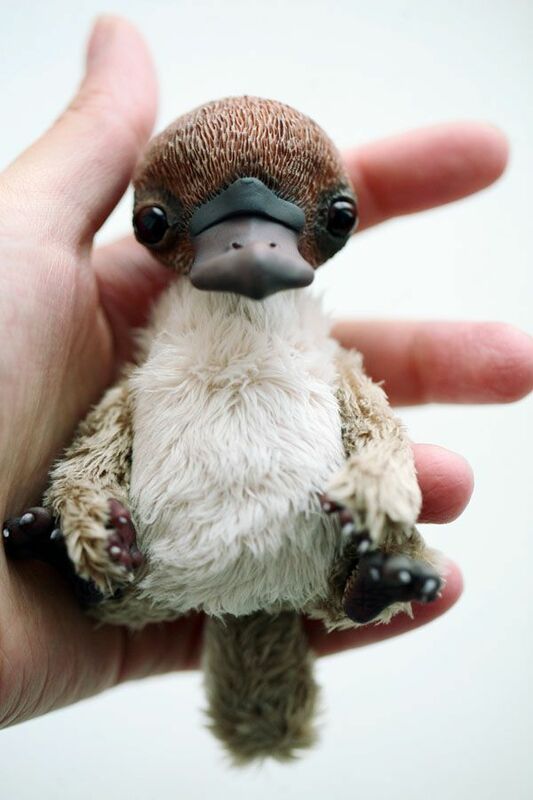 That's right; as if they weren't squee-worthy enough, they're also itty-bitty. Again, you can hit any of these links for scads more sweetness - because if I just lost 3 days of browsing, then by golly, you WILL lose at least a few hours. That's right; you guys are coming down with me. Er, I mean that in the nicest way possible, of course. It's just so life-like! I think I may have to watch some tutorial vids on needle-felting now. That sound you think you just heard was me going super-sonic. 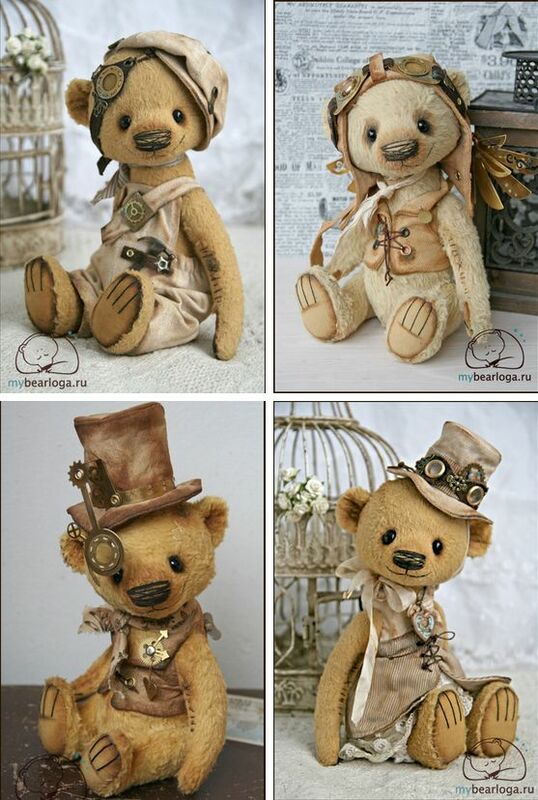 And while we're talking goggles: steampunk teddy bears! 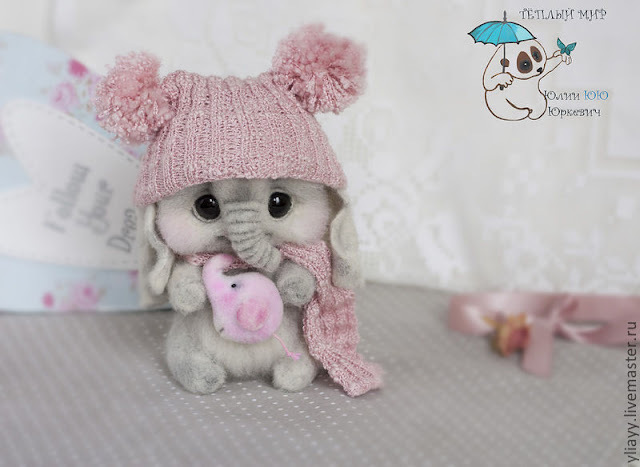 Elena is one of the first plush artists I found, and I just love her style. I think it's the giant noses. And the mechanical wings. 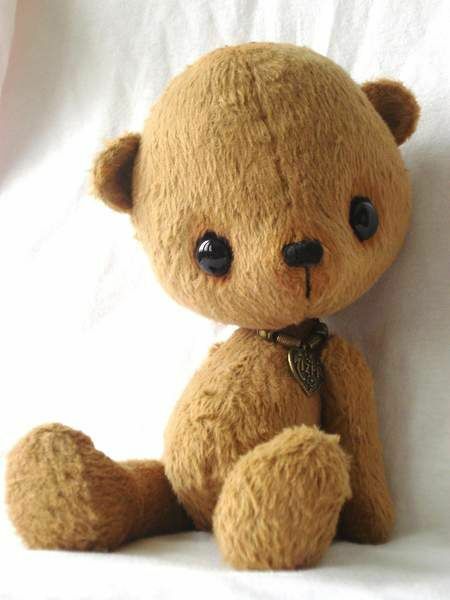 Now, I realize that falling in love with vintage-looking teddy bears is getting me dangerously close to grandmas-who-collect-porcelain-dolls territory. All I can say is, I promise to never cover all my couch arms in doilies. Beyond that, all bets are off. 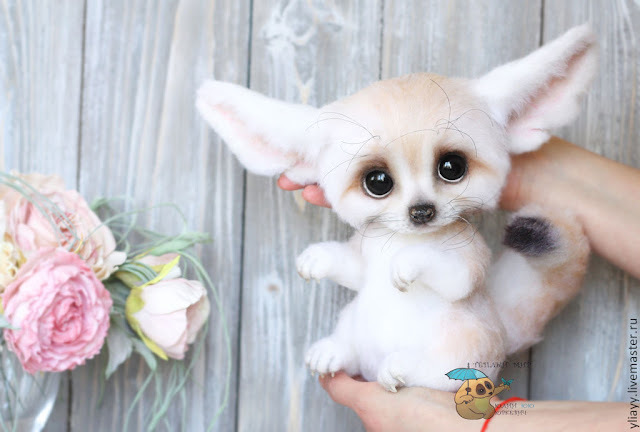 Ah, John just demanded I stop looking at stuffed animals, already, even though I TOLD him they're "plush art sculptures" and this IS me working. Harumph. This is my face when you tell me to stop looking at cute stuff, John. THIS IS MY FACE. Hope you guys enjoyed, because if you didn't, you are made of stone. Now, go chase down some of those links! 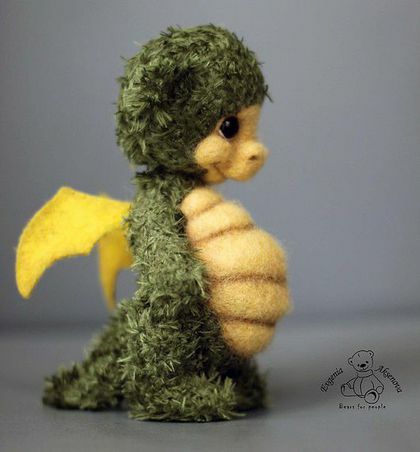 That wee dragon, that first owlie, and the sad bunny at the end? I want to squeeeeeeeeze all of them! Thanks, Jen. I needed something fluffy today! 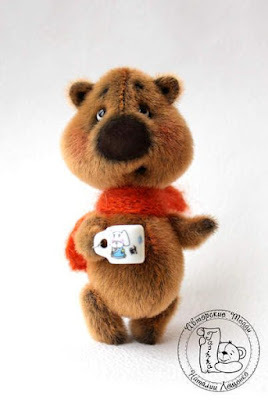 I know Sara Renzulli of Sarafina Fiber Art... If you're ever in Elkton, Maryland I HIGHLY suggest checking out her studio! and that teddy with the button bellybutton. thank you for exploding my heart. I AM DYING HERE. That PANDA and the PLATYPUS and the DRAGON and the STEAMPUNK BEARS and I'M GETTING ALL CAPSY AND ANNOYING. Ahhh! You're killing me. My New Year's resolution is to focus!! Of course, if I were sticking to it, I would be working instead of reading your site. But never mind facts. 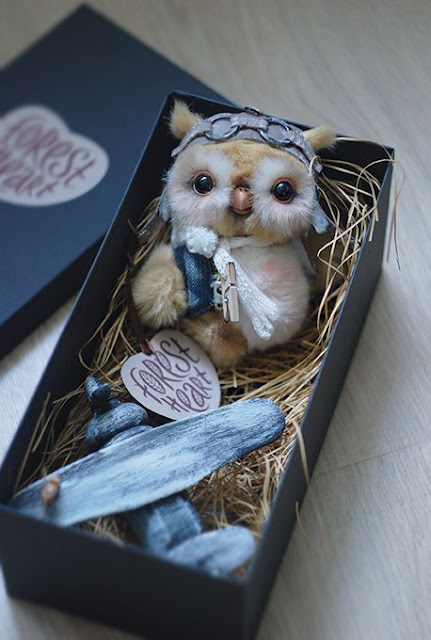 The aviator baby owl! Even my husband lost his composure for that one! 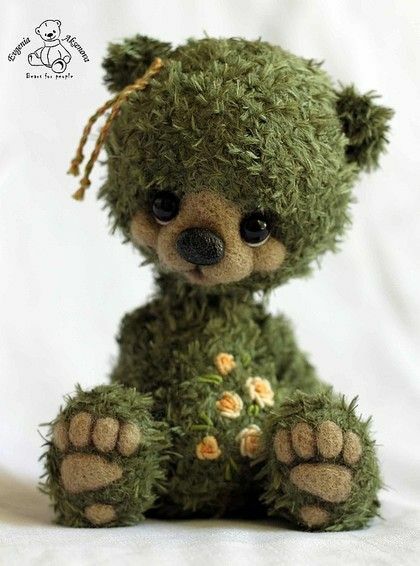 Oh, my goodness, the world of custom teddy bears! Wow, you may never come out of that rabbit hole!! oh, but the spinning rabbit hole leads you to a delicious place of yummy fiber and fun tools. Where else would you find something called a niddy-noddy? In all seriousness, though, having needle felted a bit, spinning is loads more rewarding. Even if you don't knit or hook or anything. I can't stand the cuteness!!!! 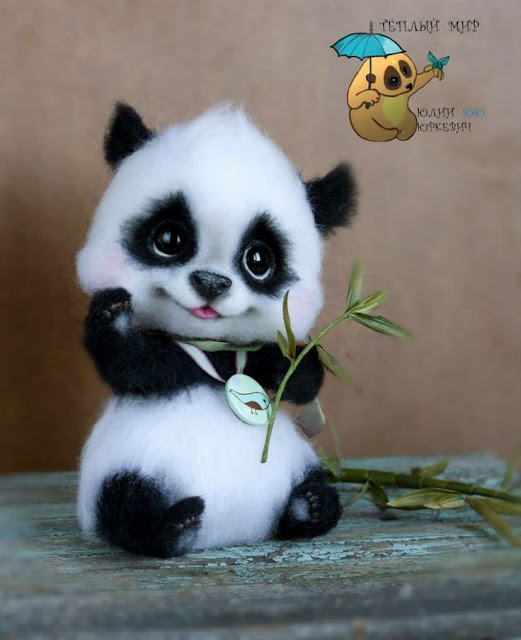 I have always loved "plush art sculptures" and these are soooo adorable!!! I think I'm happily going to go down with you Jen! There goes my resolution for the new year not to start a new project without finishing something I already started! 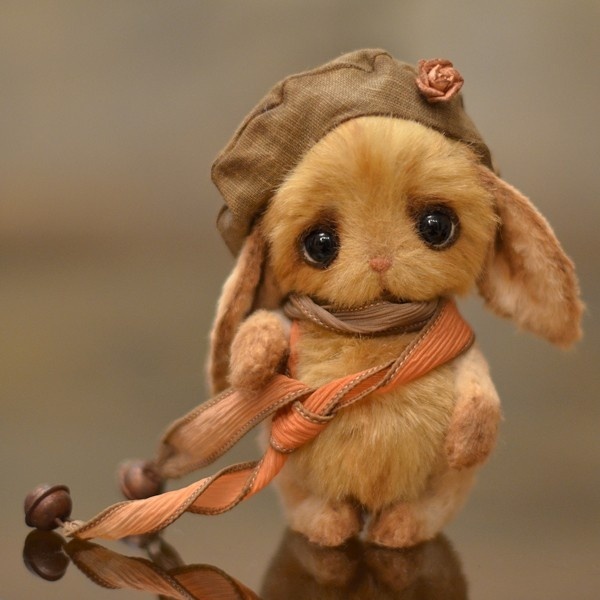 These "plush art sculptures" are way too cute to resist. I think I need the dragon to guard my computer. And John is just being mean by telling you to stop looking at such squee-worthy art! Those were all SO ADORABLE!!!!! ARGH! That bunny at the end is killing me with cute. Luckily, I have no desire to collect furry knick-knacks, so my bank account is safe. Phew! Thanks for the oodles of squee though. 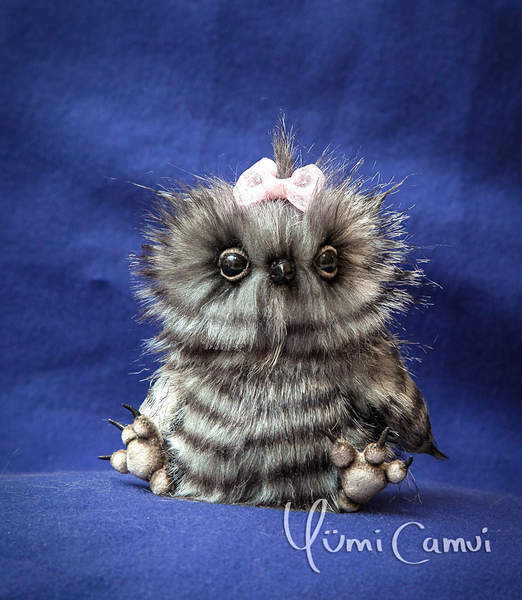 All these critters are just too adorable, and their creators are extremely talented. I am currently trying to downsize all my stuff and purge so many items... YOU ARE NOT HELPING! That elephant? I'm pretty sure I need that. I don't know why, but I do. The OWLS! The FOX! SQUEEEEE! Jen, you've met me. You know I pride myself on being the mustached manliest of lumberjack-esque men folk. Imagine then my shame at the realization that I was squeeing and flapping my arms at my wife about 3/4 of the way through this. I tip my bowler hat to you. You turned me into a 6 year old girl... Again. This is my favorite comment ever. Aw, sending virtual hugs to your kitty, Lynz! Thank you! Jones came home today with an epilepsy diagnosis and meds that make him drunk wobbly. Which is hilarious. All hail the lifesaver that is pet insurance, though! Instant baby talk at the dragon. I couldn't even help it. 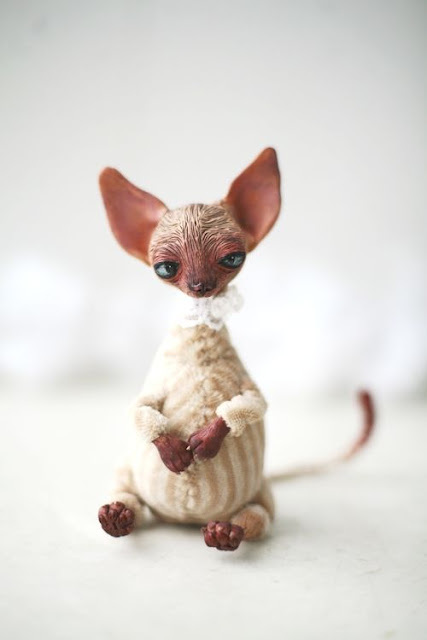 I did needle felting for awhile, but had to stop because YOU WILL POKE YOUR FINGERS WITH SHARP NEEDLES REPEATEDLY (I thought you should know), but mostly because the finished product is really delicate - it's way too easy to pull arms or legs off, so they're no good as gifts. If you want to collect, it's OK as long as they're just going to sit on a shelf, but they have no play value at all. I just HAD to rub that dragon belleh through my monitor! Could. Not. Resist. While I am sick (again), I did have to show up at work. The boss is out, though, so I just need to do a couple things and then I am off to Russia, with love. Thanks for making the internet easier today, because doing a Google search takes just too much energy. Yup. I'm just a puddle of mush after that from the cuteness. 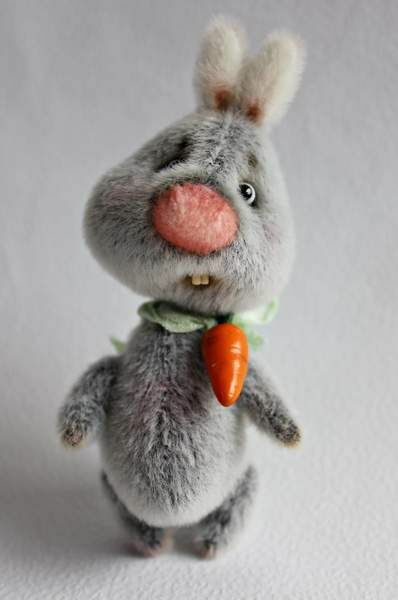 Is it me, or does anyone else see the resemblance to Jen in that last widdle bunny? Too much adorbs. TOO MUCH ADORBS!!!!!!!! I don't think I can take it! 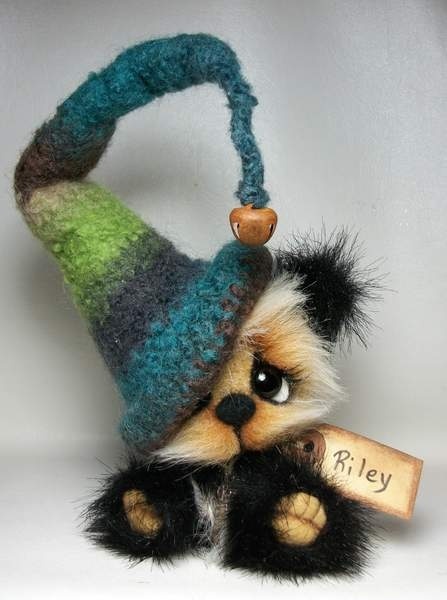 Also,I need to get better at needle felting if that means I could make things that look like this! I have totally needle felted! It's great. Very rhythmic and calming. I definitely didn't do anything this cute though! Here lies Jennifer. The cute, it has killed her. THe elephant... and the dragon... and the owls! 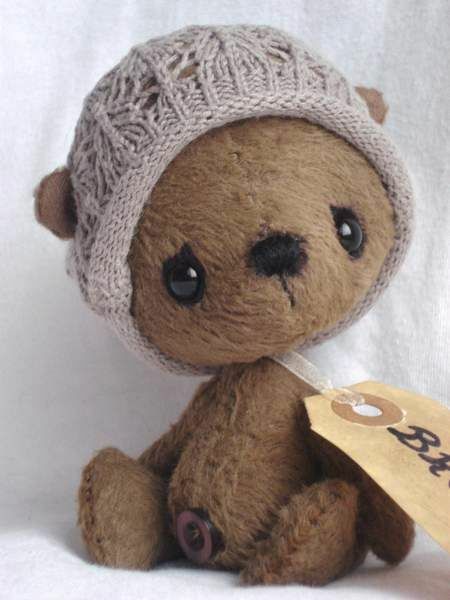 And I already have a soft spot for teddy bears. I just want to cuddle them all! Remember Jen, if you post it to your blog it counts as work! You should definitely try needle felting, I find it relaxing and you can just do so much with it, the best way to start is to just get some needle and some wool and have a stab at it.